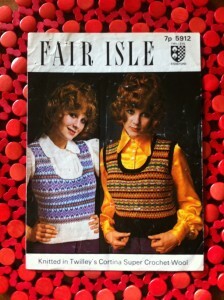 In theory, I love fair isle. The the colors and miniature designs are enchanting. 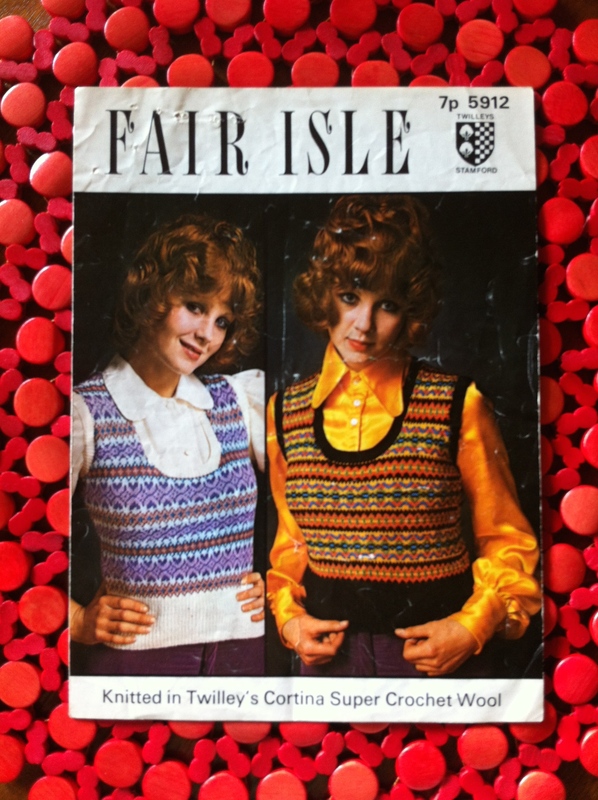 I’ve bookmarked loads of fair isle patterns on Ravelry and I’ve amassed a pile of magazines full of patterns. Alice Starmore’s Book of Fair Isle Knitting is on my shelf and I’ve mentally knit every Kate Davies pattern. Mentally. I admit I’ve bought a few fair isle sweaters to soothe the fair isle itch. I’ve knit a couple of fair isle items, but spinning yarn to knit up in fair isle intimidates me. Getting the gauge and color right just seems hard, especially if I were doing a whole sweater. So I’ve put it off. Until the other day when I was beset by a fit of madness. The sun was shining and I set up the drumcarder on a table in the garden and started cranking out some batts. The idea being to spin up some yarn to make two fair isle hats. After a bit of carding–using both the drum carder and hand cards–I came up with some shades that at least resemble the ones used in the patterns. 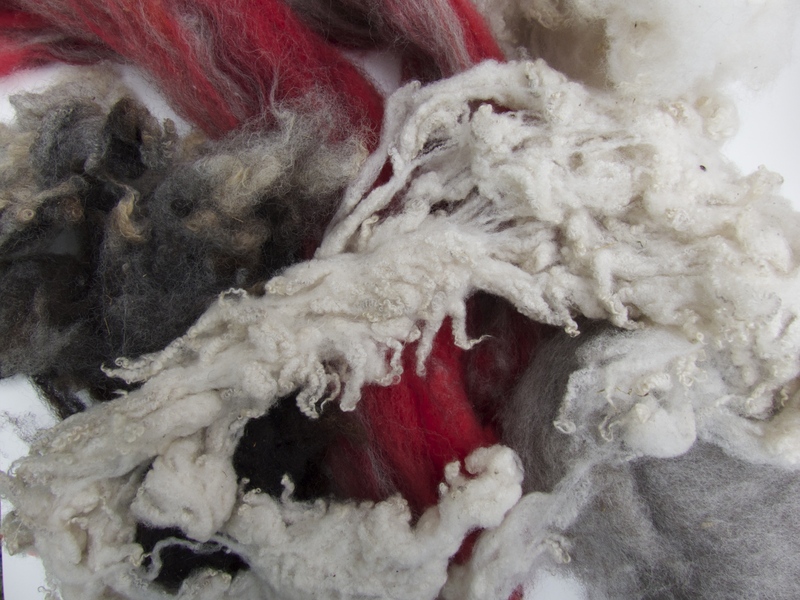 I’ve used a real hodgepodge of fiber–shetland (some from Sal’s sheep Blackberry! ), finn, a little alpaca here and there as well as some merino from the depths of my fiber stash. Like I said, getting the shades to approximate those in the patterns will be a challenge. I’m not going to be upset if they’re not the perfect hue. Some of these will require further blending with hand cards before spinning. Hand cards are not just a color blending tool, but fabulous fiber fluffers. 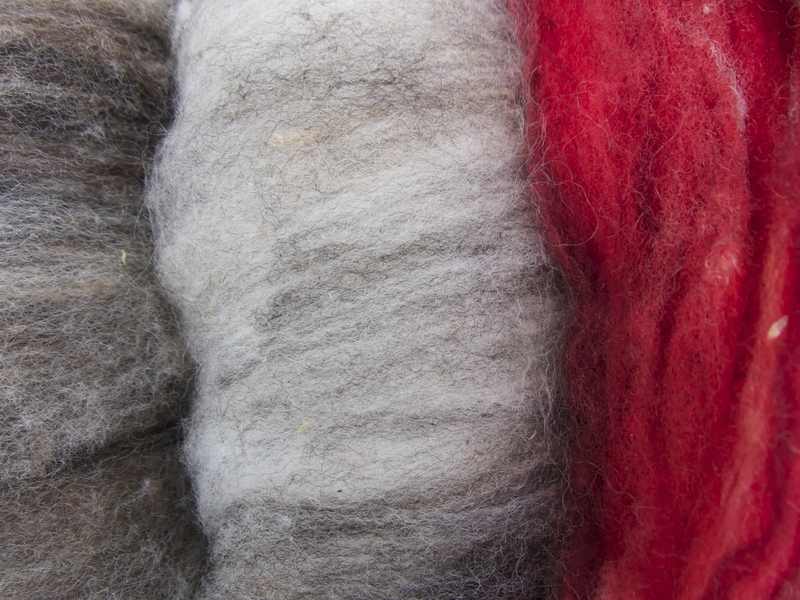 On a project like this spinning from fluffy rolags will be perfect. What I am concerned about is thickness of the singles and the finished plied yarn. My yarn always tends to be a bit on the thick side. However I do have some Jamieson 2-ply to show me exactly what I’m trying to achieve. I’ve also dug out my yarn gauge. Another resource is the Spin your own Fair Isle kit article from Knitty, which got me started on this in the first place. Lots of good advice and step-by-step instructions.